Total Resurfacing Specialists provide the most up to date innovative technique in resurfacing which is a cost-effective alternative to replacing your Kitchen, bathroom or concrete. TRS are the leading consultants in all facets of resurfacing, with over 16 years of professional resurfacing experience, we offer resurfacing solutions by providing you with superior quality advice with optimum results to suit your budget. TRS are customer focused, ensuring our Sales Teams are fully qualified to assist in the vision a customer may have. Together with a member of our Sales team we can colour match to suit your home TRS hope to take the hard work off your hands with a budget solution as opposed to renovating. 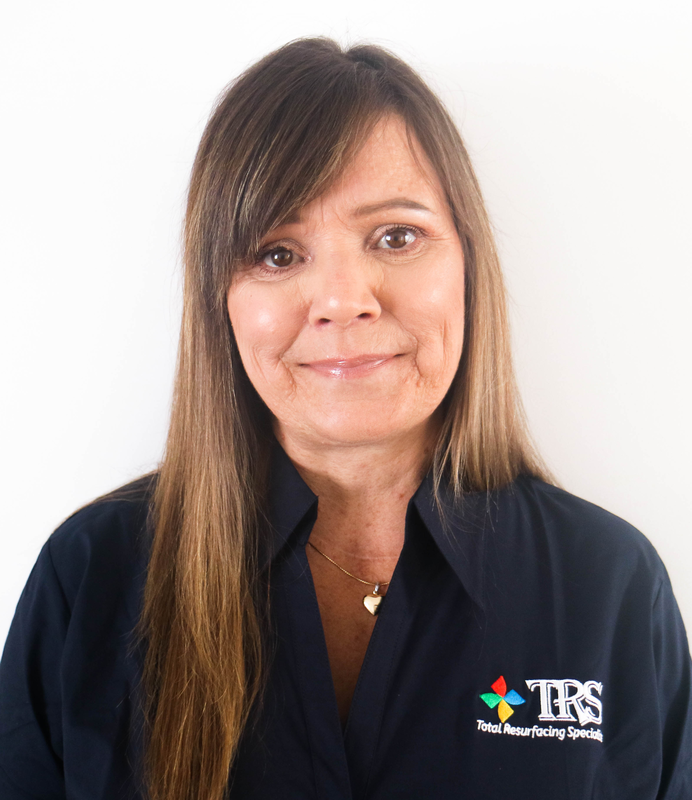 Our philosophy at TRS is to provide you with the highest quality products and advice to give you that surface you have always wanted without complete replacement, proving you a cost effective, less stressful or time consuming. TRS are fully informed with the latest technological devices to give you the very best result possible every time. All work which takes place will meet with Occupational Health & Safety requirements to ensure that we create a safe environment and a professional finish. TRS will transform your surfaces no matter if its domestic or commercial application include counters and amenities of commercial premises. TRS have the ability to practically resurface anything, we are currently resurfacing Bathrooms, Kitchens, Laundry’s, Floor tiles,Concrete and roofs. Paul is responsible for the day-to day running of the business with a emphasis on sales and business development. Making sure that the business continues to grow by way of developing new clients whilst maintaining its existing customer base. A results driven, self-motivated and resourceful managing director with a proven ability to develop and strengthen management teams in order to maximise company profitability and efficiency. Paul is experienced in leading and growing all sectors of a business to make it a dynamic and progressive organisation. Possessing excellent communication skills and able to establish sustainable and profitable relationships with customers. 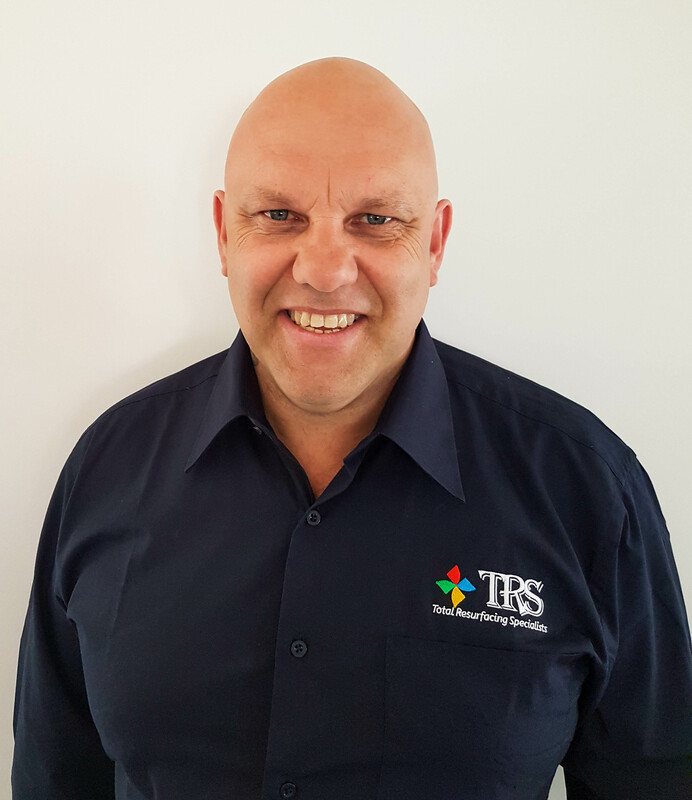 Paul comes from over 20 years of experience of Management and Project Management within operating many successful businesses, 15 years of that has been involved in Resurfacing. He has also has a Certificate III in engineering which has given him a vast knowledge in the Trades sector. His experience would cover the coordination and operation of companies in the public and private sectors .Duties and responsibilities include managing daily operations, project Managing and planning the use of materials, work force, and resources. Managing & Training staff, preparing work schedules and assigning specific duties, review financial statements, sales and activity reports. Ursula comes from a strong Management, Business Development, Human Resources & Sales background. For the past 20 years Ursula has been working in various roles some of which included Management, Business Development, Account Management, Sales/Services, Labour Hire and Human Resources Management which involved the development and review of company policies & procedures. She has a wealth of experience within Managing Accounts in various sectors including mining, manufacturing, construction, engineering, and technical infrastructure. She is adept in understanding customer issues and building holistic solutions based upon her experience and knowledge of best practices across the industry. She have spent numerous years managing accounts and supplied technical workforce solutions to a number of high profile Australian mining projects & other industries ensuring to deliver complete workforce solutions and best work practices to these major clients along with managing various contractors assigned to various industries. Charlee is a highly motivated, confident individual with exceptional multi-tasking and organisational skills. She exhibits confidentiality, discretion, tact, diplomacy and professionalism when dealing with directors or senior managers. Charlee possesses a proven ability to help managers to make the best use of their time by dealing with their secretarial and administrative tasks. She has been used to working in a fast paced environment, giving full administrative and secretarial support to a Senior Manager. Charlee is responsible for answering & screening telephone calls & face to face enquiries, making appointments and arranging travel and accommodation and sending invoices. 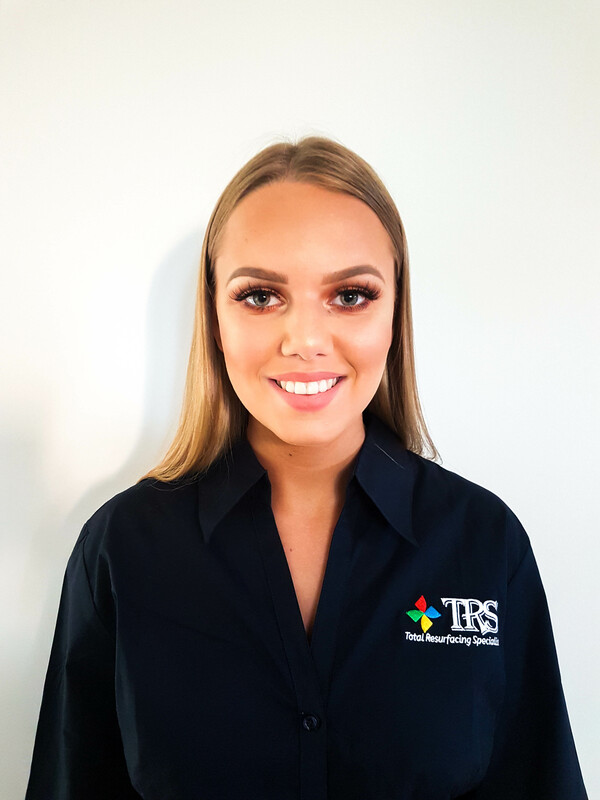 Charlee’s other duties include liaisons with other staff, suppliers and clients, carrying out routine administrative duties like photocopying and filing, social media updates and, dealing with incoming emails, faxes and management agendas along with facilitate all management meetings. Joel brings computer troubleshooting acumen and hardware installation skills to maximize the overall efficiency of the company. Joel provides technical support to computer users experiencing difficulties with computer software, hardware and other computer devices, effectively recognizing and resolving the problems. Some of his areas of expertise include Application Testing, Equipment Maintenance, Scripting, Software Configuration, Anomalies Identification, Patches Installation, Server Images Building, Documents Preparation, Support users, repair and replace software, hardware and peripherals, provide advice and training to users. He provides ongoing support to users regarding systems, network and internet connectivity whilst supervising other technical support workers. He has developed a strong communication with his managers and other team members including customer service and support. PC/Laptop Sales & Repairs, Remote Desktop Assistance, Internet Troubleshooting, Virus/Malware Removal, Data Recovery, Tutoring, and Gaming PC Desktop Builds. At a very affordable cost to the customer, you may contact Joel for more information & availability via email or mobile. 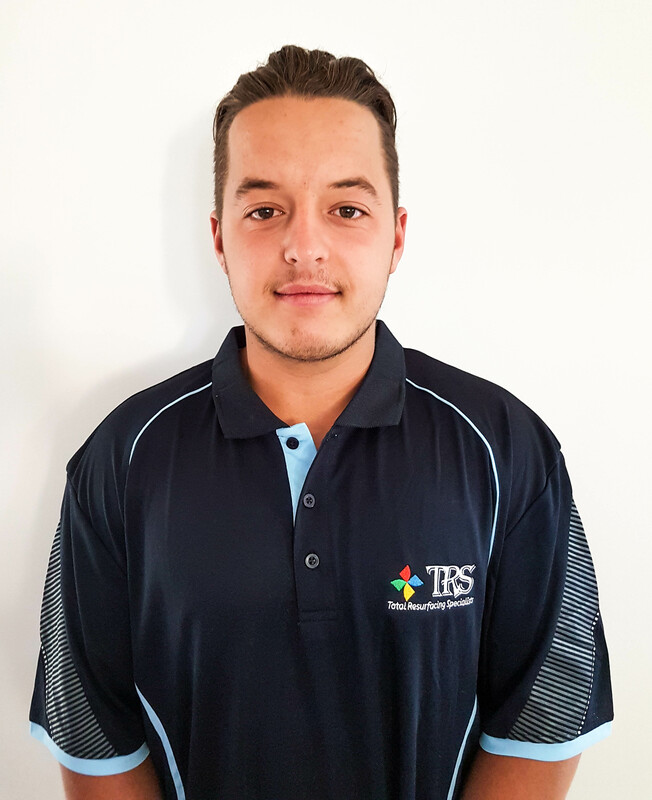 Josh Brings exceptional physical stamina, great attention to detail and relevant expertise acquired through experience in the Electrical and Labouring area. 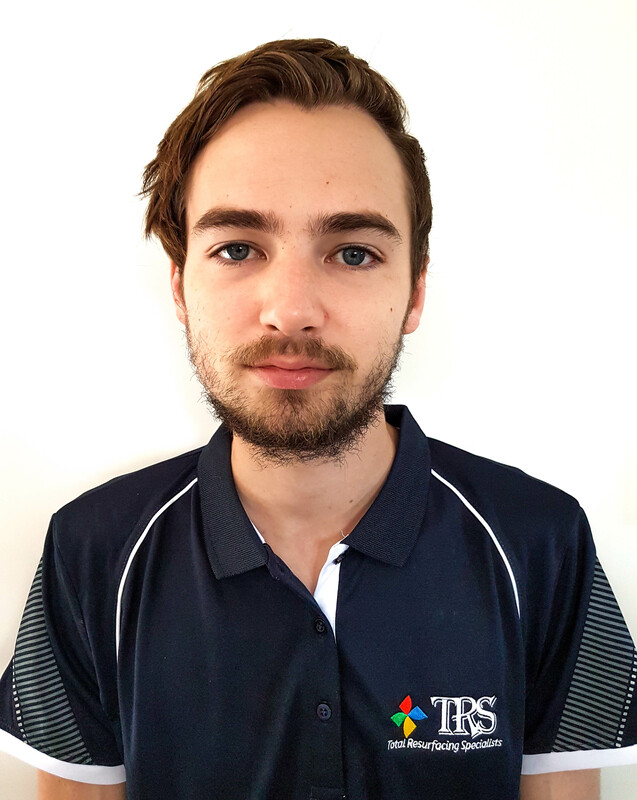 Josh comes from an Electrical background, he also has an extensive knowledge of leading a team to ensure completion of deadlines. His Knowledge extends out to concreting, resurfacing, general construction, machine maintenance, welding, sandblasting and panel beating. Whilst working in these areas Josh has lead and directed crews using best safe practices, ensuring safety first for all team members. Josh has established and maintained effective working relationships with team members, managers and customers/clients. TRS team are very professional, take great pride in their work, will go above and beyond and get back to you should there be any queries and they do not talk nonsense like what most others would – here is a company that actually cares about their customers and have finish the job as if it were their own with outstanding quality. My bathroom looks brand new, thanks again Paul and TRS team, will be recommending you guys to all my friends. I would like to thank the entire TRS team for the excellent work done during my recent renovation. TRS helped me with some earlier resurfacing on my kitchen and when the time came to do my driveway TRS was the first (and only) call I made. Once again, I am extremely happy with the end result and the great team at TRS. The whole process from design to finish went very smoothly. The small “hiccups” which are expected with any renovation, especially in an older house, were quickly dealt with. I particularly appreciated Pauls detailed design plans and recommendations which transformed the vision I had to reality. Love our new driveway and so do the neighbours. Our job was completed last Thursday and we are over the moon with the difference from old to new, the Guys did a fantastic job, and when they left our kitchen was spotless, no mess whatsoever. We would highly recommend them for any future jobs, the finish is perfect.